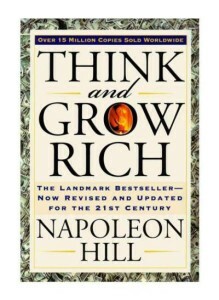 Napoleon Hill’s most famous book is undoubtedly Think and Grow Rich. It’s sold over 100 million copies since it was published in the 1920s – a fact which testifies to its extraordinary power. But it may not help you work out the meaning of manifestation or help you find a practical way to manifest your desires. You see, although Napoleon Hill wrote that “in every chapter of this book, mention has been made of the moneymaking secret which has made fortunes more than 500 exceeding the wealthy men who might have carefully analysed over a long period of years”, I don’t think the secret is either clear or obvious. Hill wanted to tease people because he thought it would be more valuable to them if they could find out what the secret of manifestation was for themselves. Even so, if you read the book you may well end up mystified as to exactly which secret he was referring to! The truth is that manifestation is a process that everyone can do, and we don’t need to be teased by a guru from the 1920s! So I’m going to review this book chapter by chapter, and then tell you exactly what it is that Napoleon Hill was so reticent about revealing. Because although he may have wanted to keep the secret hidden for his own reasons, perhaps of all the books that have been written about manifestation, Think and Grow Rich is the one that explains the principles most powerfully. Instead, you can use my summary of the principles of manifestation! So, Think and Grow Rich was written in the 1920s, and the men in the book who Napoleon Hill studied as he investigated manifestation and Law Of Attraction principles included the industrial barons of the time like Henry Ford and Andrew Carnegie. I’ve heard people say that times have changed, and there are no longer the kinds of opportunities for making money open to those rich industrialists around the turn of the 19th century. Yet this is total piffle! If you think of people like Richard Branson of Virgin, Steve Jobs of Apple, Bill Gates of Windows, and Larry Page and Brin Sergey of Google, amongst literally thousands of others, you can only conclude that opportunity has always been available – and still is…. Sidebar: Steve Jobs inspiring Harvard students. The text. Let him inspire you, too. Or just watch the video below. The video. Success is made, not born. From The Guardian newspaper, England, November 2014. You’d think someone would have got there first. But no one had. So Parsons set up gocompare.com, which crucially let people compare policy details as well as prices, worked hard and made the company a huge success while her husband Mark quit his job to look after their two children. She’ll get £44m [ that’s 44 million UK pounds – about 68 million US dollars ] for selling her stake in this deal, on top of whatever else she’s already made. For those who are ready to manifest wealth and success – or indeed, anything else that they want – the opportunities are always available. Truly, all riches do have their beginning in an idea. And remember, the techniques you have available to you today for transforming the way your mind operates are far superior to the ones available in Hill’s day. Hill talks a lot about “autosuggestion” which basically seems to amount to writing out instructions to yourself on a card, and then carrying it around with you, memorizing it, and reading it yourself several times a day. Nowadays this process of re-programming the subconscious can be done in many other ways, much more efficiently … and yet, oddly enough, Hill’s methods will still work if you use them with dedication. In the introduction to Think and Grow Rich, Hill says we are all the masters of our fate because we have the power to control our thoughts. Grasp this, for it is the most important factor behind every single aspect of your life today. The mind has incredible power, the power to adapt the world around you to match the way that you’re thinking. And the power of the mind can work to produce both positive and negative outcomes. It will convert just as quickly thoughts of poverty into physical reality as it will thoughts of riches. With that in mind, and in a spirit of open-mindedness, let’s begin on the facts and information Napoleon Hill provided which can entirely change your financial destiny. Read on in the next post all about the first principle of success.